Home / history / News / Why Holy Week has no fixed date unlike Christmas and other holidays? 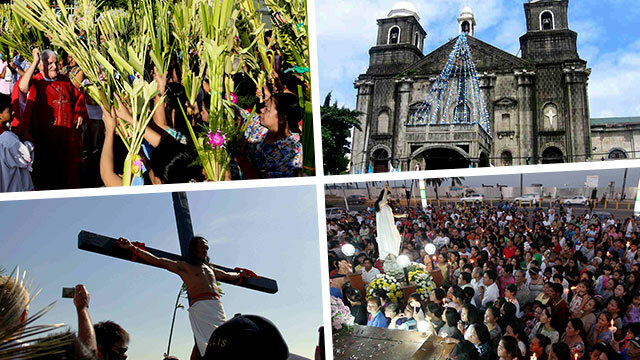 Why Holy Week has no fixed date unlike Christmas and other holidays? Unlike most church holidays, the Holy Week is a celebration that has no permanent date. It changes every week but it is based on Easter, a Catholic celebration that is for and marks the resurrection of Jesus Christ. Easter’s date isn’t definite though, the feast moves around the Jewish Passover. Jewish celebrations by the way are also movable due to the Jew’s utilization of lunisolar liturgical calendars, a calendar that follows both lunar and solar cycles. o Jesus’ passion, death and resurrection happened during Passover. o All events prior to Easter is believed to have happened on the 14th day of Nisan. o Early Churches wanted to be disassociated with Judaism. o The Jewish calendar confused the heads of the said Early Churches for Passover is also a movable feast. • Through calculations of early churches’ calendars, the day that they believed to be the resurrection of Jesus was during the first vernal full moon which is spring. • So to avoid the reliance on the Passover, the early church agreed that Easter is going to be celebrated on the Sunday after the first vernal full moon, the day right after the Jewish Passover. Currently, the church uses the Gregorian Computus, a Gregorian computation for Easter dates, which is clearly imperfect considering the fact that Easter has on multiple occasions overlapped with the Passover. There has been 8 occurrences of Easter that has overlapped with the Passover, the next one being the Easter Sunday of 2183.